What is our ideal relationship to our land? This is the question Yankeetown Pond Project asks, from the bank of a mile-long pond with complex ecosystems and human landscapes. 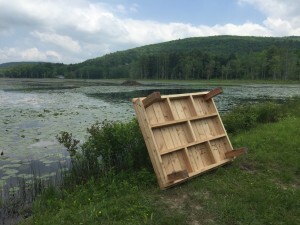 Yankeetown Pond Project is an experimental public art project, which brings people from various social circles together with their deep connection to their land as the common thread. 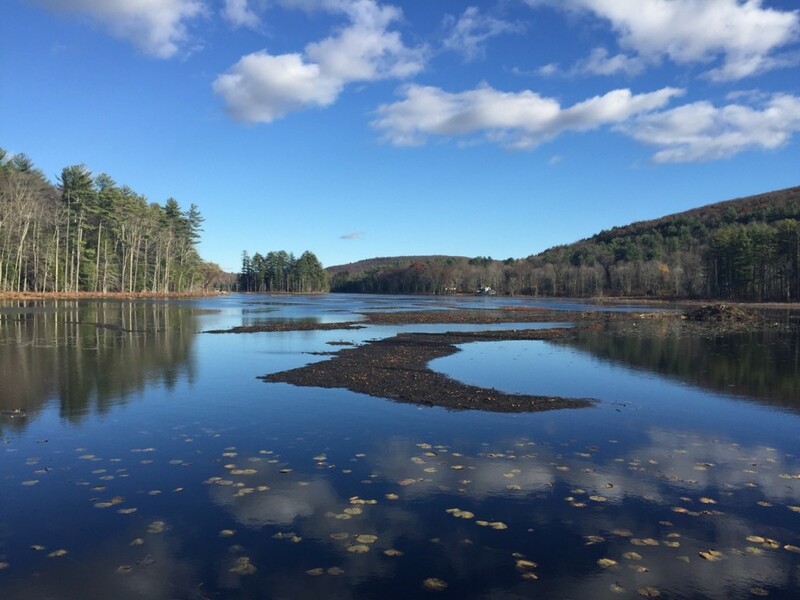 It was instigated by Bearsville artist Keiko Sono, but has quickly become a collaboration with the residents, as the project went thorough transformations brought about by unexpected responses, just as the pond itself is constantly being reshaped by beavers, weather, and human interactions. 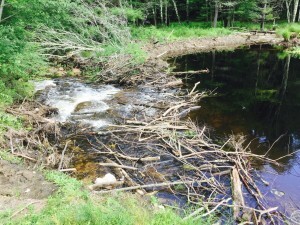 In June, beaver dam was destroyed accidentally, and the water level decreased dramatically. The ensuing reconstruction of the dam is one of the stories followed in this project. 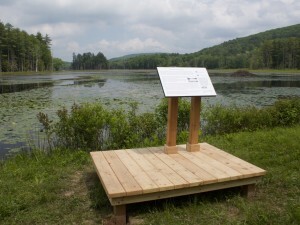 The original proposal called for a long-term time lapse production, following the seasonal and year-to-year transformation of Yankeetown Pond in Bearsville (The pond appears to be transitioning into a bog), by asking visitors and residents to take photos, and gathering them together to produce a video. Her plan was to place a platform with an interpretive sign requesting visitors to take a photo of the pond from the platform, and send it to her via email or Instagram, along with any personal memories or stories they might have to share. She had contacted all the property owners around the pond, who collectively owned the parking lot where the platform was to be placed, according to the town assessor’s office. 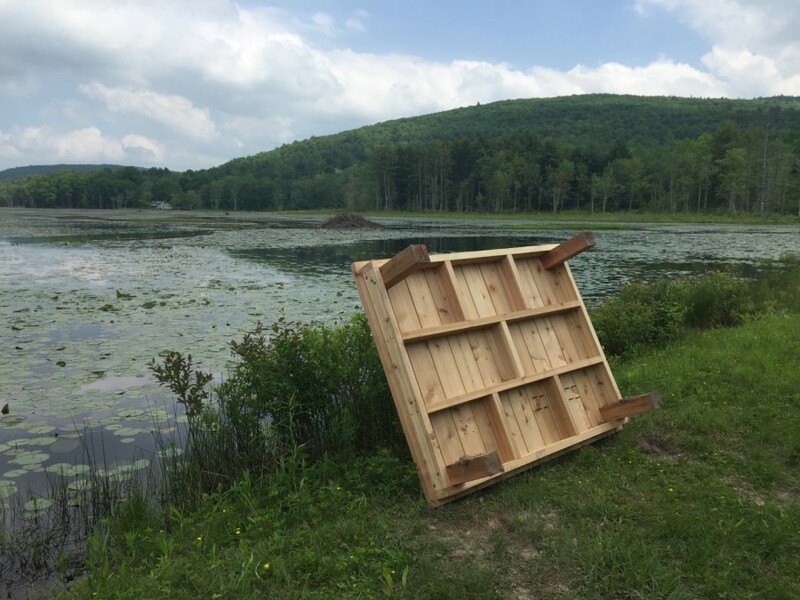 Within several hours of placing the platform, however, it was turned upside down, with a memo demanding to “remove this eyesore.” As it turned out, the parking lot also belonged to property owners along another road running parallel to the pond, granted by an old agreement missing from the office records. This incident forced Sono to rethink about her project, and about public art in general. Since then, she and the protestor have shared their thoughts with each other, and have come to a common acknowledgement that they are essentially on the same side, sharing the same concerns. It was made clear to Sono that this project had to be about the human landscape as well as the physical landscape, if it were to be a genuine public art project. 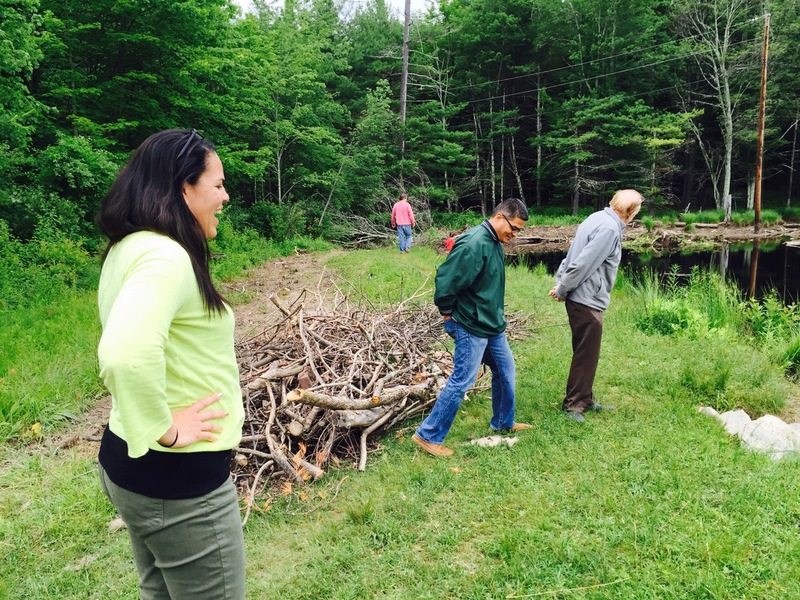 As a result, her final video is now a hybrid of nature-based art video and a documentary, with topics ranging from the pond’s history to land ownership, from beaver dam to town politics. Residents were invited to meet the artist at the pond. It was a lively gathering. On December 10 at Catskill Art Center in Arkville, and on December 16 at Center for Photography at Woodstock, Sono will present her video, followed by a talk in which she plans to share her experience, with plenty of practical suggestions for activists and artists who are interested in working with the community.